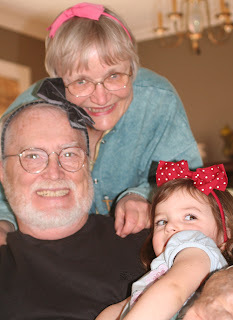 Holland helping Grandma & Grandpa "accessorize"! Very stylish! You all live such a glamorous life!